Carry along Finnish style when you pack the Artek Siena Red/White Canvas Tote Bag. 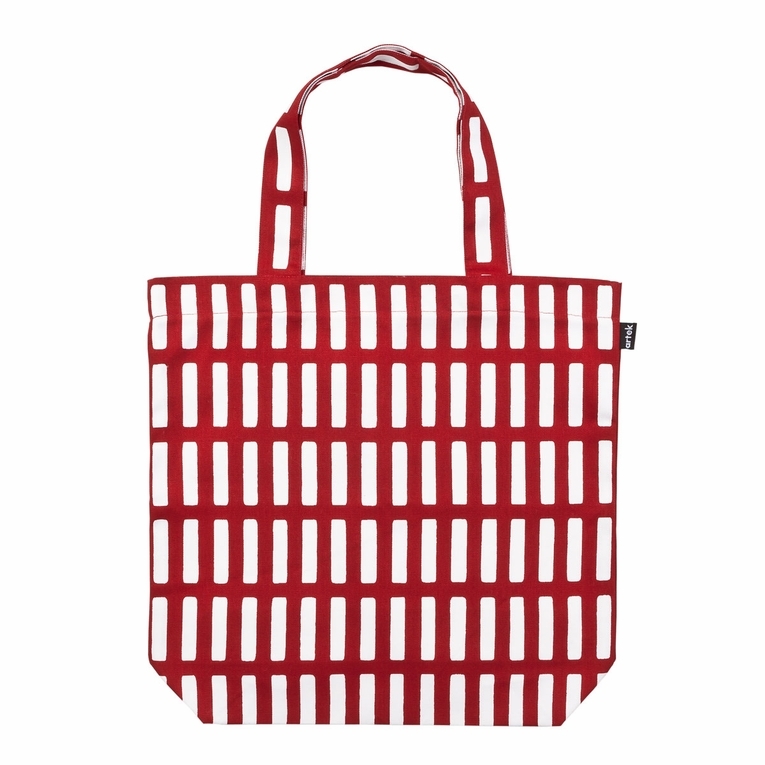 Constructed from 100% cotton canvas, the durable tote bag features a 4-inch base for extra room and sturdiness. Alvar Aalto�s cheerful 1954 Siena print may make errands feel like a holiday all year. Sling it over your shoulder or hang it by a hook for storage�either way, this everyday essential looks and feels ready to go.